So many exciting things have happened since my last gloomy post. First, we’ve made numerous trips back and forth between home and Evansville, IN (an hour drive) to adjust Drew’s braces. We’ve had a few goals in mind to alleviate some issues including the lack of extension his legs have. He’s not quite able to extend his legs fully so we worked with the orthotist to try out some new knee joints that have a gradual locking mechanism that can be used to slowly increase his extension. His old braces had a locking knee-joint but only at full extension which caused him too much pain from the stretching. 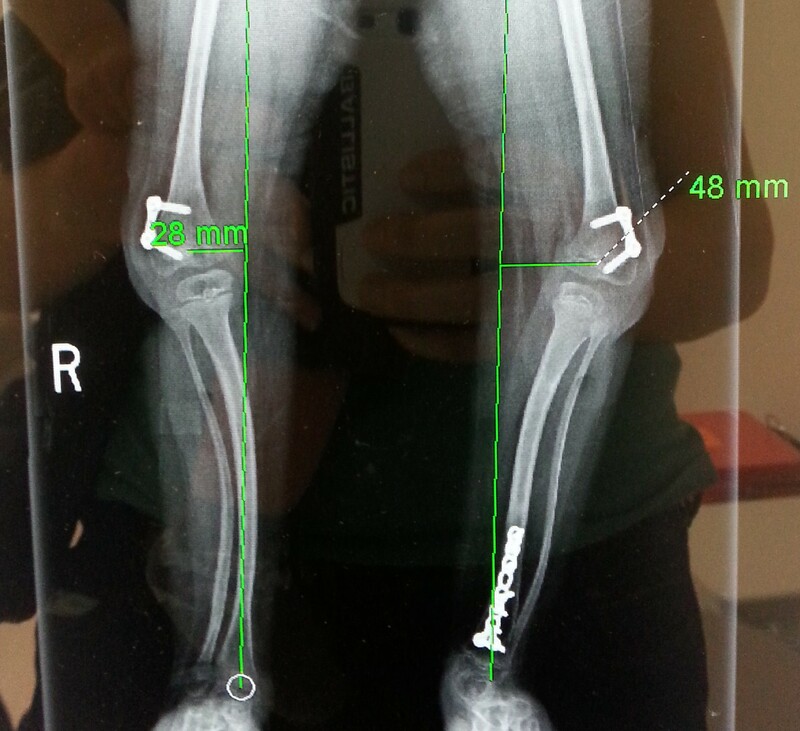 It was our hopes that we could lock his knees in small increments until they are fully extended with these new knee joints. Also, Drew’s braces have been a source of pain and frustration as his feet continuously pull up out of the foot cups causing the hard ridges of the braces to dig into his heels and rub them raw. Drew came home from school on several occasions in tears from the day-long pressure on his heels. And, despite the orthotist’s best efforts and multiple adjustments including altering the strap configuration and shortening the braces, no amount of effort was resolving the issue. Even after five separate trips, we couldn’t find the perfect fit. Click the picture to see a video. But first, please don’t judge my cluttered house! Despite all of these troubles with the braces, one day Drew came home from school and asked to walk in the hallway. I assumed he meant for me to hold him up underneath his arms carrying 75% of his weight while he “simulated” walking. My back was hurting and was not keen on having to put forth the effort to carry him around, but I almost always will encourage any voluntary therapy I can squeeze in. Well, Drew just put his two feet on the ground and just walked right then and there with no amount of assistance from me. My mind. was. blown. How in the world did this just happen?!? Where did this come from? Needless to say, I was ecstatic. So, Drew now walks as if nothing ever happened. It must have been the knee joints. If we were to unlock his knee, he would be unable to walk. But, with his knees locked which means that the locks support the majority of his weight, he’s able to easily walk. What a relief!!! He walks to the bathroom, around the house, at school, in and out of therapy at the hospital. It’s great! We are so excited for him. He’s so cute too. Now, he will actively seek opportunities to walk. For instance, I had to take a cup of milk back to the refrigerator and Drew chimed in that he wanted to do it. It meant so much to him to be able to do that for me. He took the cup and held it like it was the most important thing in the house, walked it to the kitchen and Daddy opened the frig door for him. He was so proud. So, that chapter is closed for now and finally get to start this new, happier one. Drew also turned seven last week. Seven years old. My little rainbow baby! To think of everything he’s been through: 2 open heart surgeries, 7 leg surgeries, blood transfusions, multiple hospital admissions, TWO miraculous instances of overcoming disability and walking despite the greatest of odds. It’s hard to imagine these life events happened in these seven years. Drew had previously asked to have a surprise birthday party so I got to work planning and scheming. With a trip planned to see Dr. Paley just two days after Drew’s birthday, my plan was to tell Drew we’d be unable to host a birthday party on his birthday because we’d be too busy getting ready for the trip. So, he wasn’t expecting a birthday party. The next step was to separate Drew from the house so I could prepare the festivities. While Drew was at school and while Holden took his nap each day, I got approximately two hours a day for two weeks to cut, paint, pin, wrap, bake and organize the event. Drew’s grandmother hosted a slumber party at her house so I was able to make the cake and decorate the room. 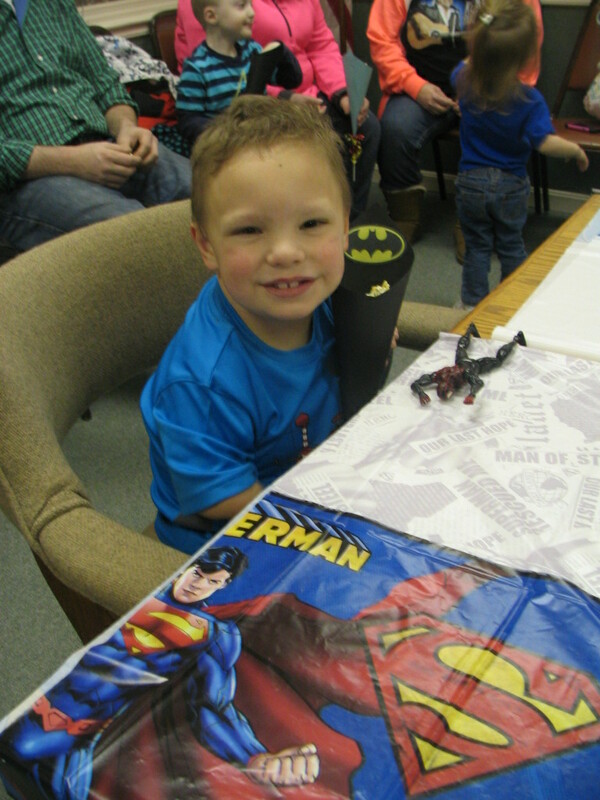 The afternoon of the party, we all hid behind various objects and when Drew walked in, we jumped and shouted “SURPRISE!”. Drew was speechless. He was all smiles and he had NO idea that we had been planning this the whole time. It was a lot of fun. Finally, we completed our fifth trip to West Palm Beach to visit Dr. Paley for a follow-up. It was another whirlwind trip flying thanks to Miracle Flights on Sunday, appointment on Monday, and returning Tuesday. Luckily, Dr. Paley’s office called Friday to confirm our appointment at 12 (for which I was disappointed as a mid-afternoon appointment would put even stricter limits on having a little fun during our trip) but they also wanted to see if we were interested in coming in at 7:30 am. Uuhhh…YEAH!!! That really opened up the day after the appointment so we jumped at the opportunity to fit two events in. The trips through the airports were pretty standard for a family of four traveling with a disabled child, a year-and-a-half year old, a wheelchair, a suitcase on wheels and an over-stuffed diaper bag. It took an eternity to get through security, cramped airplane seats, delayed flight. We get to Charlotte, NC in which we originally only had a 45-minute layover which is now only 25 minutes with the delay in our arriving flight and it was a mad rush to a gate two terminals over. We were the last ones on the plane and I was close to requesting CPR from nearly passing out due to pure exhaustion. And, let me tell you, we were delighted to step out of the airport in southern Florida and remove our jackets and pullovers. It was like spring down there! We were definitely not in 6-more-weeks-of-winter Kentucky anymore. We picked up our rental car which confused us with its unfamiliar “push button start” feature which had us scratching our heads for a few moments. We arrived at Dr. Paley’s and were immediately delighted to see the newly renovated waiting rooms which were under construction the last time we were there. They were in desperate need of more seating and an updated to he dated features. Now, it’s super modern, spacey and we were in awe of its design. The appointment at Dr. Paley’s started like any other appointment: taking x-rays. 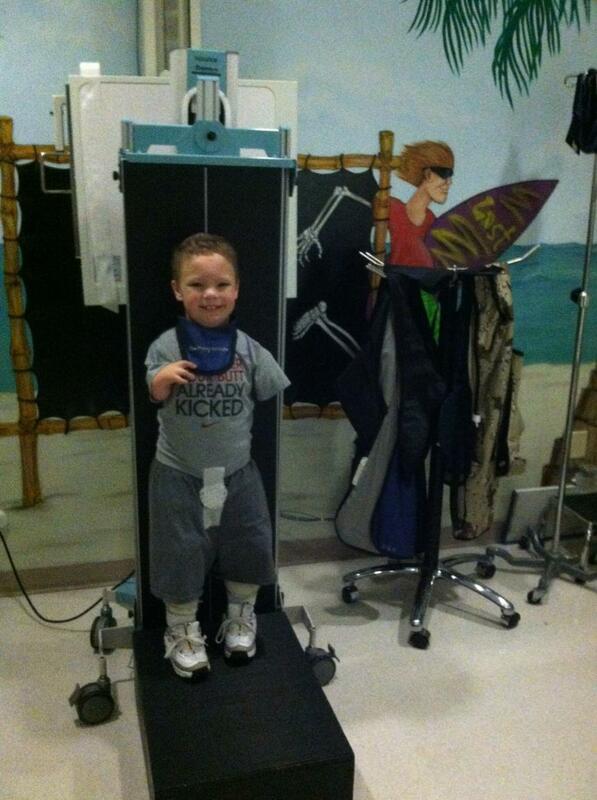 Except Drew got to take his x-rays standing up for the first time! I was a little nervous seeing Dr. Paley as it’s not uncommon to be surprised with some new plan. And, seeing as Drew’s orthotist had requested us inquire about Drew’s lack of extension, I was afraid this would open a can of worms. But, overall Dr. Paley was pleased with Drew’s progress. We spoke about the feet coming out of the foot plate and he suggested getting a wedge to promote walking on his toes. And, Dr. Paley said that Drew would need treatment again sometime in the future, but didn’t say when or what that treatment would be. He wants to see us again in six months (August). This will be a year of having the internal fixator and 8-plates surgically placed which are to remain for 1-2 years so with one year down, we might learn about how that’s going and potential plan to surgically remove. One of our favorite PA’s! The sound I imagine when looking at this x-ray: beee-ooo-wep! curvature of the bones below Drew’s knees. The squeamish always-anticipating-the-worst-case-scenario part of me envisions Drew’s bones snapping in the middle from the weight. Yikes!! Dr. Paley didn’t seem concerned about it, but that just doesn’t look good! At least he’s able to lock his knees which holds the majority of weight for him so hopefully the amount of stress on his bones is decreased enough to not make it a hazard. Since we got to be the first patient seen, we were out of there in less than two hours so we went straight to the beach! It was very exciting for us to go to the beach in our bathing suits. Now, the water was 73 degrees and it was quite cold, but that didn’t stop Drew from wanting to splash around. 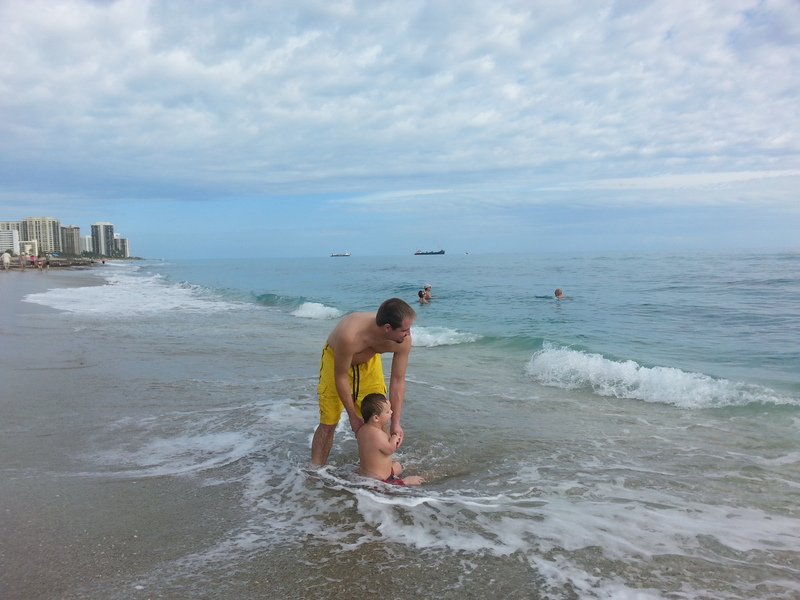 We grew accustomed to the coolness of the ocean finally and had a great day. Then, we planned to visit our next favorite West Palm Beach locale: CityPlace at downtown. Unfortunately, it was raining so we didn’t get to walk around the area and enjoy gelato from our favorite Italian eatery, but we did make it to our favorite theater to watch the new SpongeBob movie. So, that’ our exciting news. Very glad to finally have this upbeat post about Drew. But now, I gotta get back to my boys! I would be grateful. I can’t find your e-mail adress.